A bee approaches a flower’s electric fieldUNIVERSITY OF BRISTOLBees use electric fields to help home in on flowers, but the mechanism by which the insects do so was a mystery. To find out, scientists used lasers to determine whether the antennae or tiny hairs on the bodies of bumblebees moved in response to an electric field. While both structures were deflected in the field, only the hairs produced neural activity, suggesting the latter may be responsible for the insects’ electric sense, researchers at the University of Bristol, U.K., reported yesterday (May 30) in PNAS. Historically, electroreception has most widely been observed in aquatic animals, such as sharks, fish, and dolphins. A few terrestrial animals—including platypuses and echidnas—are also known to have an electric sense, but they require a moist environment to conduct the signals. 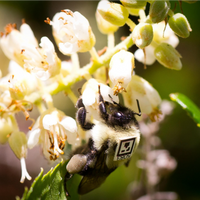 In 2013, the University of Bristol’s Gregory Sutton and colleagues showed that bumblebees could detect electric fields from flowers, but the researchers were unsure how. In the present study, Sutton and colleagues hypothesized that the bees use either their antennae or the tiny mechanosensory hairs on their bodies to sense these floral electric fields. To test this, Sutton’s team measured the vibration of the insects’ body hairs and antennae in an electric field using a laser Doppler vibrometer. Because bees are naturally positively charged, the researchers first gave the insects an electrical charge. The electric field caused deflections in both the hairs and antennae, which increased with the charge of the bee. However, the average degree and speed of the deflection was greater for the hairs. 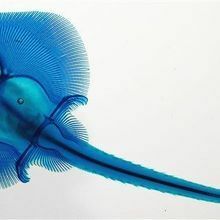 Sutton’s team also made electrical recordings from the hairs and antennae—no easy feat with a tiny electrode—to see whether their respective movements elicited neural activity. Only the hairs did. “We couldn’t find any evidence that [the bee’s] antenna actually reacts to an electric field,” Sutton told The Scientist. The researchers concluded that these tiny hairs are responsible for the bees’ electric sense. “Just like when you rub your head on a balloon and can feel the hairs tugged, this is exactly same thing,” Sutton explained. The findings suggest that electroreception may play a much larger role in the insect and arachnid worlds than previously thought, the researchers wrote in their study. For example, spiders are covered with tiny hairs used for sensing acoustic vibrations, which might also be used to detect the electric fields or their prey, Sutton said. 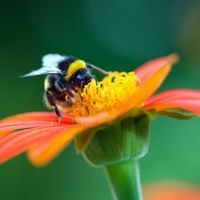 Uwe Greggers of the Free University of Berlin did not agree with the authors’ conclusion that the hairs alone enable electroreception in bumblebees. The researchers measured the deflection of antennae in freshly killed insects, he pointed out, and these structures harden within seconds of death. This could explain why the antennae didn’t transmit signals, Greggers told The Scientist in an email. 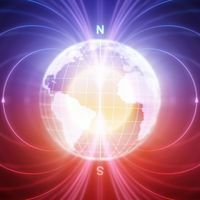 In addition, the antennae may not have been close enough to the source of the electric field, which drops off exponentially with distance. “The last fraction of a millimeter does count,” Greggers said. The findings raise new questions, including how and where the bee’s nervous system encodes the electrical information from these tiny hairs into memory, Lihoreau said. And the work underscores concerns about the impact that electric “smog” from cities (radio, wireless communications, and power lines) may have on the insects’ behaviors. G. P. Sutton et al., “Mechanosensory hairs in bumblebees (Bombus terrestris) detect weak electric fields,” PNAS, doi:10.1073/pnas.1601624113, 2016.